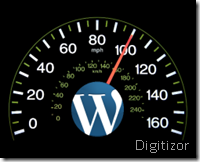 How to speed up your wordpress installation and blog/website page loading time? A substantial amount of traffic to your blog or website depends on the time your blog or website takes to load. It is because if your website takes a long time to load then a visitor will simply close the window and move over to the next option he has from the search results. Unless you are a very famous content provider you really need to work on this front so that you make sure you provide your content to your users in the lowest possible time as compared to your competitors. And once you become famous then you should lay more stress on this aspect so as to maintain your quality of service (QOS). In this article we will share a few tips with you which will help you to fine tune your website or blog and improve the overall loading time of your website (especially if you use wordpress to deliver content to your readers). 1. Tweak the header.php file of your WordPress theme. Joost de Valk of Yoast talks about various ways by which you can remove at least 11 queries to the WordPress database thus improving the speed of loading your page substantially. He also suggests that you should make all your URLs static rather than using Dynamic URLs. A Dynamic URL is the one which has a ‘ ? ’ in it. For eg. the URL - http://digitizor.com/?s=dell is a dynamic URL whereas the URL -http://digitizor.files.wordpress.com/2009/04/delllogoonlinenew-thumb.jpg is a static URL. 2. Do NOT stuff your website or blog post with high resolution images unless you are planning to showcase your design work on your website. Websites stuffed with high resolution images take a long time to load owing to the huge image sizes. 3. You should use the powerful cache plug-ins for Worpdress like WP-Cache or WP-Super-Cache. What cache plugins primarily do is to genarate static html files from your dynamic WordPress blog. After a html file is generated your webserver will serve that file instead of processing the comparatively heavier and more server resource intensive WordPress PHP scripts. 4. Third party tracking codes or other snippets tend to make your website load slower as by using these you generally promote cross-website data transfer. In case one of the services that provide a particular widget for your website goes down then your website will again take time to load. Finally you can use the Blog loading time evaluation and stats service from Is My Blog Working? to find how exactly is your new tweaked up blog performing. Low values for all that which shows up in their results indicates good loading times and thus better end-user experience. Related: Adding Twitter counter to a wordpress.com hosted blog.